Welcome to the Porch Museum Shop. Below are items that we currently have for sale. At the moment we do not have an online store, however you can purchase any of our items by visiting the museum, or calling Kate Hadley on 01480 454154. Alternatively you can contact us directly using our Contact Us Form. 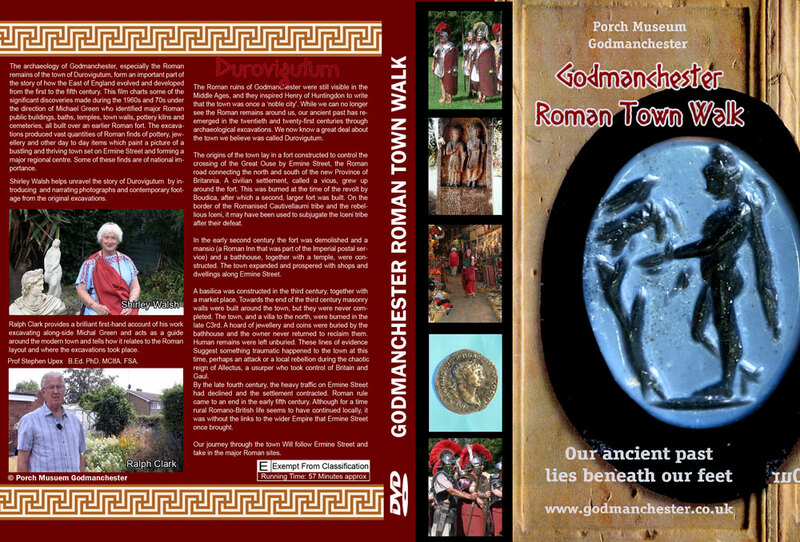 Godmanchester was an important Roman military market town with a mansio, bathhouse, basilica, market place and villas. Local collectors have made available their private collections, nearly 300 stunning Roman artefacts. Guided by these artefacts, our group of wonderful archaeologists have helped us gain a picture of life lived here 2000 years ago by Godmanchester's Roman citizens. From the Chief Executive, English Heritage. Dr. Simon Thurley. The local collectors must be thanked, but also the archaeologists Professor Stephen Upex, Alison Taylor President of the Cambridge Antiquarian Society, Geoffrey Dannell, Michael Green and Bob Burn-Murdoch. The energy and time they have devoted to this project is a laudable example of academics lending their expertise to enhance local community archaeology. The archaeology of Godmanchester, especially the Roman remains of the town of Durovigutum, form an important part of the story of how the East of England evolved and developed from the first to the fifth century. 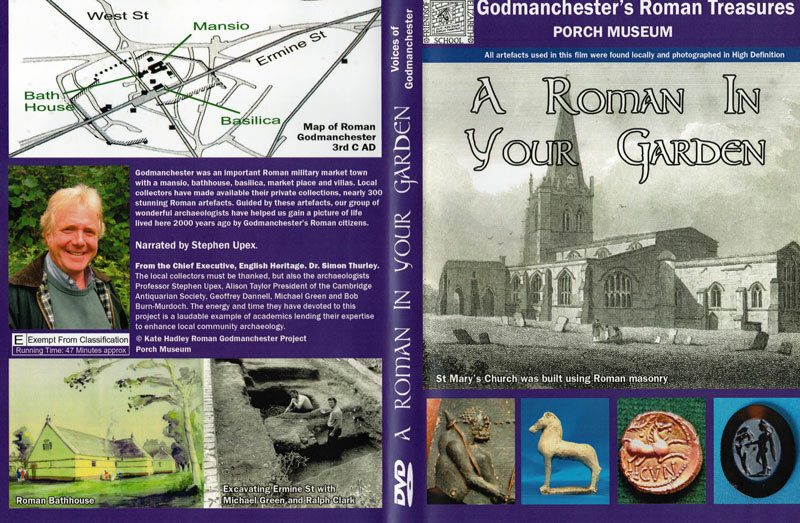 This film charts some of the significant discoveries made during the 1960s and 70s under the direction of Michael Green who identified major Roman public buildings, baths, temples, town walls, pottery kilns and cemeteries, all built over an earlier Roman fort. The excavations produced vast quantities of Roman finds of pottery, jewellery and other day to day items which paint a picture of a bustling and thriving town set on Ermine Street and forming a major regional centre. Some of these finds are of national importance. Shirley Walsh helps unravel the story of Durovigutum by introducing and narrating photographs and contemporary footage from the original excavations. Ralph Clark provides a brilliant first-hand account of his work excavating along-side Michal Green and acts as a guide around the modern town and tells how it relates to the Roman layout and where the excavations took place. Vera Arnold was born on April 1st 1916. 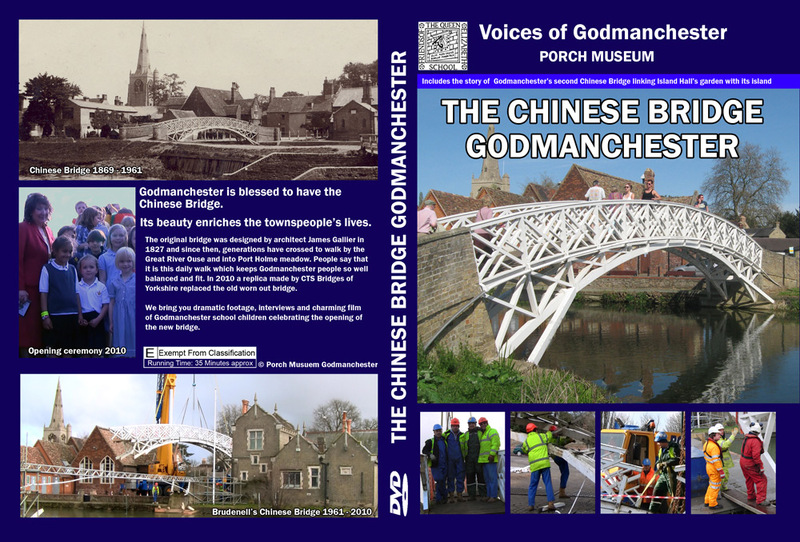 In a way her life reflects the astonishing changes in 20th century Godmanchester. When she was young there were hardly any cars, no National Health Service, no television, no electricity, crystal radios and certainly no aeroplane travel. Girls had a limited choice of work – service with the gentry, the brewery, the mill or work on the land. 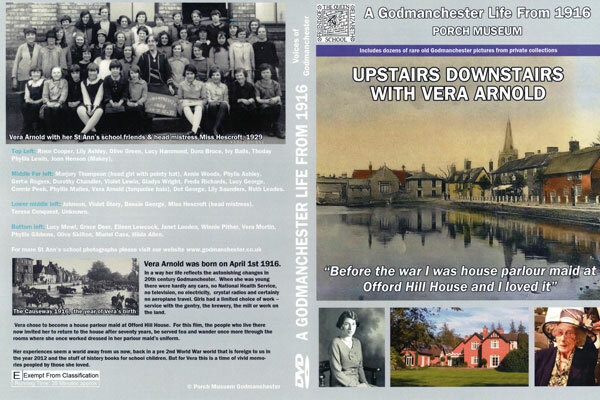 Vera chose to become a house parlour maid at Offord Hill House. For this film, the people who live there now invited her to return to the house after seventy years, be served tea and wander once more through the rooms where she once worked dressed in her parlour maid’s uniform. Her experiences seem a world away from us now, back in a pre 2nd World War world that is foreign to us in the year 2012 and the stuff of history books for school children. But for Vera this is a time of vivid memories peopled by those she loved. 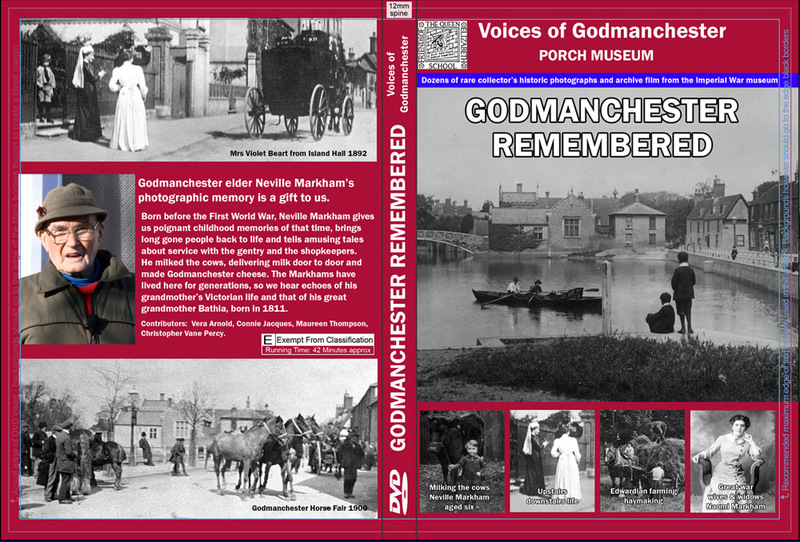 Godmanchester elder Neville Markham’sphotographic memory is a gift to us. Born before the First World War, Neville Markham gives us poignant childhood memories of that time, brings long gone people back to life and tells amusing tales about service with the gentry and the shopkeepers. He milked the cows, delivering milk door to door and made Godmanchester cheese. The Markhams have lived here for generations, so we hear echoes of his grandmother’s Victorian life and that of his great grandmother Bathia, born in 1811. During the First World War, Godmanchester organ player John Dayton started to build his own organ. By the late 20s he was a familiar sight in local towns, including Huntingdon’s Market Hill. Pathé cameras caught him playing for local children in West Street, one February afternoon. 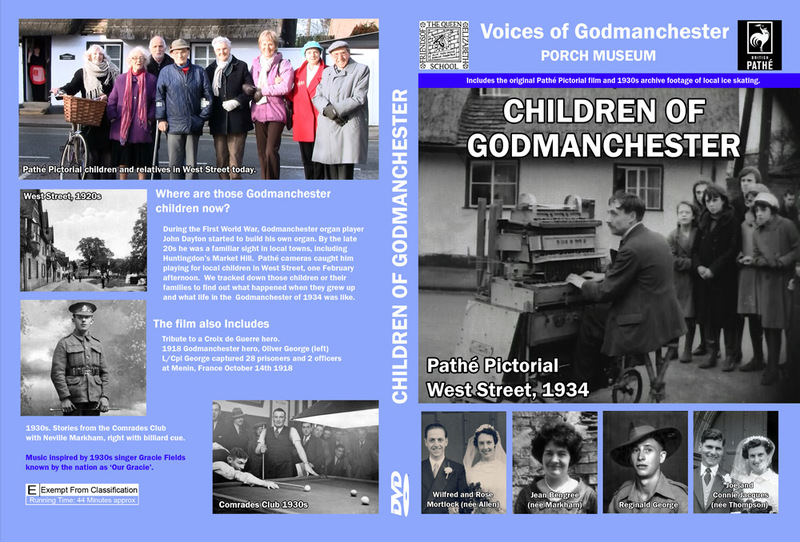 We tracked down those children or their families to find out what happened when they grew up and what life in the Godmanchester of 1934 was like. The original bridge was designed by architect James Gallier in 1827 and since then, generations have crossed to walk by the Great River Ouse and into Port Holme meadow. People say that it is this daily walk which keeps Godmanchester people so well balanced and fit. In 2010 a replica made by CTS Bridges of Yorkshire replaced the old worn out bridge.We bring you dramatic footage, interviews and charming film of Godmanchester school children celebrating the opening of the new bridge.